Nestling in the Snowdonia foothills of North Wales is one of the world’s most magical gardens. With its dramatic scenery, historic plant collections, Champion Trees and myriad horticultural styles, it will capture your heart and live long in your memory. Bodnant Garden covers 80 acres and was established in 1874 by a Victorian entrepreneur, Henry Davis Pochin, who filled it with plants collected by famous plant hunters and explorers. In spring, swathes of daffodils, camellias and rhododendrons cover the meadows and steeply-sided gorge – while roses, lily ponds, herbaceous borders and wildflower meadows spell summertime. Autumn brings a kaleidoscope of rich and dazzling colour – and in winter, sparkling frosty landscapes provide an impressive backdrop to the stark beauty of leafless trees. 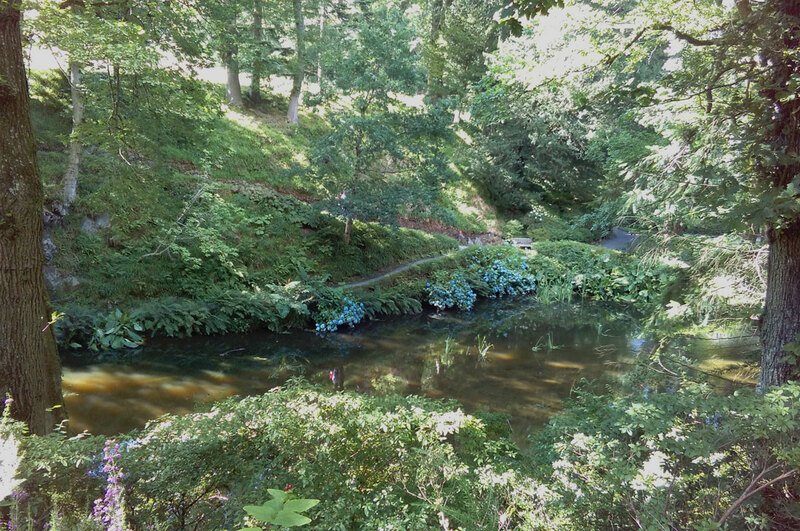 Bodnant Garden’s Silent Space wends its way, via a rarely-used wooded pathway, through tall, stately trees, looking down over quiet ponds and rippling streams to the far end of the garden. It’s a mossy, grassy green track which, although not far from the main garden routes, feels a world away from noise and crowds. If you are very lucky you may spot an otter or kingfisher, but the gentle sound of birdsong, water running over rocks and the wind in the trees will be ever-present in this most tranquil of spaces.